Technology is the future for every industry in the world, and the oil and gas industry is no different. On today's episode, Corey Scott, and Phil talk about how EnergyLink helps operators and royalty partners get paid faster with fewer disputes and simplifying the communication by looking at the data. 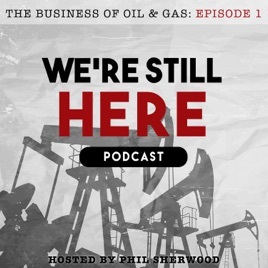 Here are some of the things you can look forward to in this episode: Find out how RedDog systems got its name Hear how developers actually develop software for the industry Find out how to use EnergyLink to get paid faster by your partners with fewer disputes Find out where data exchange is going in the future How automation is changing the landscape for oil and gas businesses no matter the market conditions Get the inside scoop to what's next for EnergyLink and its customers Dive into this episode that will change how you think about technology in your business. Connect with Corey Scott and Red Dog Systems, Inc. Corey Scott currently serves as the U.S Sales Director at Red Dog Systems, Inc., a Calgary based software company that provides cloud-based solutions to customers involved in Joint Interest Billing, Revenue accounting and Owner Relations. Prior to joining Red Dog Systems in 2008, Corey worked at ConocoPhillips, helping to implement and manage the company's Joint Venture accounting software products. He is a graduate of Oklahoma State University, where he received his Bachelors Degree in Finance. Grab the CEO Toolkit: 120+ Tools, Favorites & Freebies to scale your oil & gas business no matter what the industry looks like for free!